On The Next New V8TV Television Episode! 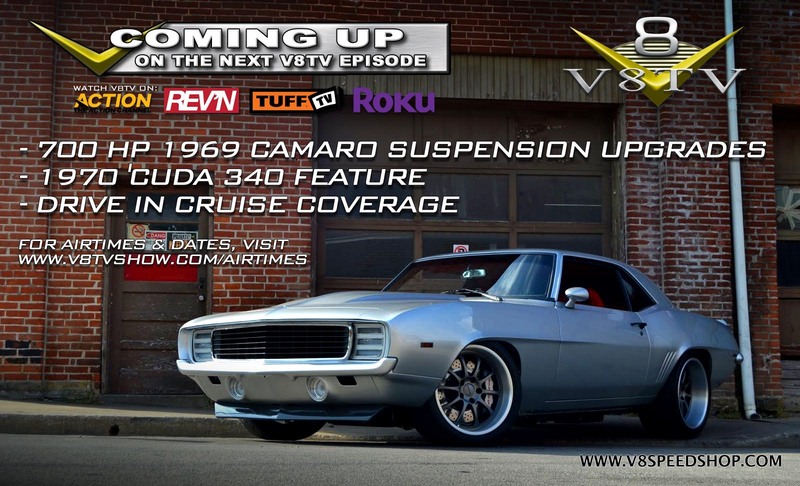 A new episode of V8TV airs next week, featuring the 700 HP '69 Camaro getting a complete suspension re-do with performance upgrades from Detroit Speed, Baer Brakes, Forgeline wheels, and a Currie Enterprises rear axle. 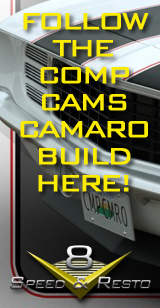 Plus, we add a Holley Performance Products EFI system, Centerforce Clutches, AutoMeter gauges in a DSE Panel, and much more. We also take a look at a sweet 340 Duster and some coverage from the V8TV Drive In Cruise! 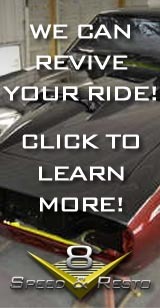 Check http://www.v8tvshow.com/airtimes for channel and airtime info!